A fire retardant insulation and construction foam developed to make a fire retardant seal between masonry joints. Up to 4 hours fire rating. Fire rating specification: tested according to NEN 6069. 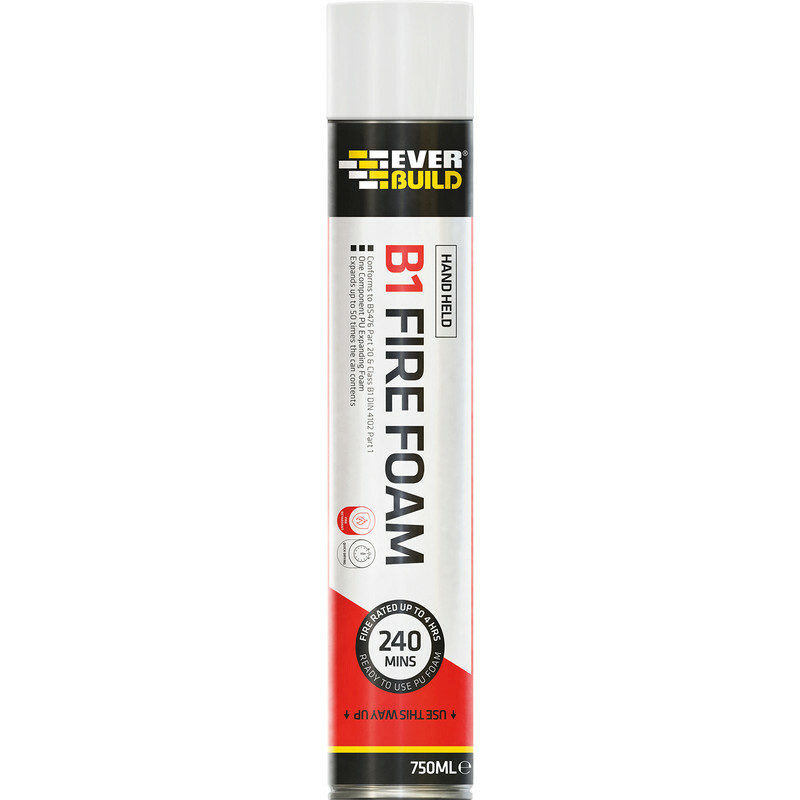 B1 Fire Rated Expanding Foam Hand Held 700ml is rated 3.5 out of 5 by 4. Rated 4 out of 5 by JOHN12 from Expanding Foam Yes, good quality, comes out at a decent flow rate. No problems.